We received numerous submissions from around the world, and the judging panel had the challenging task to determine which projects best showed how Microsoft AI services are used to solve a difficult problem and provide insightful solutions. After all projects were evaluated, the scores were so close among the top six finalists that the judges unanimously decided to create two 4th place awards, each with a prize amount of USD5000. Uses Msft Cognitive Services – Face Recognition API to find an unidentified soldier from a large pool of identified soldiers, aggregated from historical databases. Sees what is in your photo, searches the internet, and provides relevant information and news on the subject. AI based materials characterization standard to estimate the properties of an engineering material (e.g. titanium, steel) using mobile phone. Notify researchers at AUTH when a strong earthquake occurs. The message in the Azure Queue triggers an Azure Function which calls Microsoft Cognitive Services Speech API and creates an audio file which contains the details of the specific earthquake event in the Greek language. AI based VideoBOT technology for personalized cricket highlights. What was the Cloud AI Research Challenge? The Cloud AI Research Challenge invited any researcher—from students to academics to employees of public and private organizations—to build AI applications on Microsoft AI services, using at least one of Microsoft’s AI-supporting services, including Azure Machine Learning, Cognitive Services, Data Science VM, Batch AI, Bot Framework, and others. These services feature the latest advancements in developing for AI on Azure. We invited teams of university researchers, students, and employees of public and private organizations to participate. Teams were to create a working, interactive software application, in any domain, as long as it was an intelligent system using data and the Microsoft AI platform. We asked for demonstrable applications that use the newly released set of powerful services that promote AI development through open source services on Microsoft Azure. Applicants were to demonstrate how difficult problems would be solved using the below services, but not limited to, where the solution contributes new insights to a field. Example: Build models with labeled data to train and intelligently sense, process, and act on information to create applications that augment human capabilities. Example: Infuse your apps, websites, and bots with intelligent algorithms to see, hear, speak, understand, and interpret your user needs through natural methods of communication. Example: Create a friction-free end-to-end data science workflow using pre-installed Data Science Virtual Machines to build applications that rely on data analytics, machine learning, and AI training. Example: Quickly provision and efficiently scale clusters to maximize resource utilization without container orchestration expertise. Example: Deploy virtual machines, containers, and connect your shared storage to train against any AI framework/deep learning library. Example: Build dialog systems with open source Bot Builder SDKs. Submissions were to include a working, interactive software application that uses Microsoft AI services along with a video that comprehensively explains and demonstrates the application’s features and functionality. The deadline of April 15, 2018 has passed. Biographical information and contact information for each member of the team. This should include a brief description of any relevant prior research, publications, or other professional experience. Project abstract with a description of the Application and statement about the problem that was solved. Technical description of the project that states the project’s broader significance, goals, and scope of the research or Application. Features and functionality of the Application. Images that are photographs or screenshots of your working Application. The language for all materials should be in English or, if not in English, the Submitter must provide an English translation of the Video, Document, and testing instructions. Applications must be newly created by the Submitter. The Submitter must make the Application available free of charge and without any restriction, for testing, evaluation and use by the judges during the Challenge. The Submitter may make the Application available to the public via a website or online store, but is not required to do so. A Submitter may submit more than one Application, however, each Application must be unique and substantially different each other Application, as determined by the judges. Applications may integrate SDKs, APIs and data, provided the Submitter is authorized to use them. For some sample data sets refer to http://aka.ms/msrod. Your Application must: (a) be your (or your team or Organization’s) original work product; (b) be solely owned by you, your team, or your Organization with no other person or entity having any right or interest in it; and (c) not violate the intellectual property rights or other rights including but not limited to copyright, trademark, patent, contract, and/or privacy rights, of any other person or entity. A Submitter may contract with a third party for technical assistance to create the Application provided the components are solely the Submitter’s work product and the result of the Submitter’s ideas and creativity, and the Submitter owns all rights to them. A Submitter may submit an Application that includes the use of open source software or hardware, provided the Submitter complies with applicable open source licenses and, as part of the Application, creates software that enhances and builds upon the features and functionality included in the underlying open source product. By entering the Challenge you represent, warrant, and agree that your Application meets these requirements. An Application must not have been developed or derived from an application developed with financial or preferential support from Microsoft. Such applications include, but are not limited to, those that received funding or investment for their development, were developed under contract, or received a commercial license from Microsoft. The judges, at their sole discretion, may disqualify an Application, if giving an Award to the Application would create a real or apparent conflict of interest. Create a video (the “Video”) that gives a visual and comprehensive demonstration and clearly explains your Application’s features and functionality. Upload the Video to YouTube or Vimeo. The total length should be less than three (3) minutes. Includes footage of a comprehensive demonstration that clearly explains the Application’s features and functionality. Must not include third party trademarks, or copyrighted music or other material unless the Submitter has permission to use such material. The deadline of April 15, 2018 to submit your materials has passed. Microsoft will select four (4) winning applications. The awards will consist of two (2) USD25,000 grand prize awardees, one (1) USD15,000 second place, and one (1) USD10,000 third place. The challenge is open to all disciplines and methodologies. We encourage the submission of applications from across disciplines. Individuals who are at least 18 years of age at the time of entry. Teams entering on behalf of organizations (including corporations, not-for-profit corporations and other nonprofit organizations, limited liability companies, partnerships, and other legal entities) that exist and have been organized or incorporated at the time of entry and employ no more than 50 people (“Organizations”). Teams entering on behalf of organizations that employ more than 50 people (“Large Organizations”), though such Large Organizations are only eligible for the Large Organization Recognition Award. If a team or organization is entering the Challenge, they must appoint and authorize one individual (the “Representative”) to represent, act, and enter an Application on their behalf. The Representative must meet the eligibility requirements noted earlier in this document. By entering an Application on the Site on behalf of a team or organization, you represent and warrant that you are the Representative authorized to act on behalf of your team or organization. An individual may join more than one team, Organization, or Large Organization and an individual who is part of a team, Organization, or Large Organization may also enter the Challenge on an individual basis. Individuals who are residents of, or Organizations or Large Organizations domiciled in, a country, state, province or territory where the laws of the United States or local law prohibits participating or receiving an Award in the Challenge (including, but not limited to, Brazil, Quebec, Italy, Cuba, Sudan, Iran, North Korea, Syria, and any other country designated by the United States Treasury’s Office of Foreign Assets Control). Any parent company, subsidiary, or other affiliate* of any organization described above. Any other individual or organization whose participation in the Challenge would create, in the sole discretion of the judges, a real or apparent conflict of interest. Employees of Microsoft and contractors currently under contract work for Microsoft are not eligible. *An affiliate is: (a) an organization that is under common control, sharing a common majority or controlling owner, or common management; or (b) an organization that has a substantial ownership in, or is substantially owned by the other organization. Faculty, researchers, and doctoral students. Masters and undergraduate students (these require approval from a faculty project supervisor to submit their proposal). The proposal title must begin with “Cloud AI Challenge” for identification purposes. The Challenge is an initiative of the Microsoft Corporation. Microsoft is the sponsor and entity responsible for the Challenge and is contributing the funding. It is your sole responsibility to review and understand your employer’s policies regarding your eligibility to participate in challenges, trade promotions, or similar events. If you are participating in violation of your employer’s policies, you may be disqualified from entering and/or receiving Awards. Microsoft disclaims any and all liability or responsibility for disputes arising between an employee and their employer related to the Challenge, and Awards will only be awarded in compliance with the employer’s policies. Subject to the licenses described below, any applicable intellectual property rights to an Application will remain with the Submitter. By entering the Challenge, you grant to the Microsoft and any other third parties acting on the Microsoft’s behalf, a royalty-free, non-exclusive, worldwide perpetual license to display publicly and use for promotional purposes the Application, in perpetuity. This license includes, but is not limited to, posting or linking to the Application on Microsoft’s and partners’ websites and applications, including the Challenge Website, and display and promotion of the Application in any other media, worldwide. The following Application components may be displayed to the public: name, description, images, Video URL, website, URL, team members (username only), the Application category and platform, and Submitter type. Other Application materials may be viewed by the Microsoft and Judges for screening and evaluation. Submitters represent and warrant that the Microsoft and Challenge partners are free to use the Application in the manner described above, as provided or as modified by Microsoft, without obtaining permission or license from any third party and without any compensation to Submitters. If you are a public sector employee (including but not limited to education), all Awards will be awarded directly to your public sector organization and subject to receipt of a gift letter signed by your educational institution’s ethics officer, attorney, or designated executive/office responsible for your organization’s gifts/ethics policy. Microsoft seeks to ensure that by offering items of value at no charge in promotional settings it does not create any violation of the letter or spirit of the customer’s/entrant’s applicable gifts and ethics rules. If a team includes public sector employees and individuals not employed in the public sector, the Award will be awarded to a non-public sector employee team member. If a team includes only public sector employees, and team members are from multiple public sector organizations, the Award will be divided and awarded proportionally to each public sector organization represented on the team. Government entities include sovereign states and all governmental entities as well as quasi-governmental entities, including but not limited to government corporations, state-owned or state-controlled enterprises, regional transportation authorities, or state owned universities or hospitals. For additional guidance, please consult the State Owned Entity Criteria. Be aware that in certain countries and in certain industries, an individual who seems to work for a private entity may, in fact, be considered a Government Official. The relationship between you, the Submitter, and Microsoft is not a confidential, fiduciary, or other special relationship. You will be bound by and comply with these Official Rules and the decisions of Microsoft and Challenge Judges which are binding and final in all matters relating to the Challenge. You release, indemnify, defend and hold harmless Microsoft and all of their respective past and present officers, directors, employees, agents and representatives (hereafter the “Released Parties”) from and against any and all claims, expenses, and liabilities (including reasonable attorneys’ fees), including but not limited to negligence and damages of any kind to persons and property, defamation, slander, libel, violation of right of publicity, infringement of trademark, copyright or other intellectual property rights, property damage, or death or personal injury arising out of or relating to a Submitter’s entry, creation of Application or entry of an Application, participation in the Challenge, acceptance or use or misuse of the Award (including any travel or activity related thereto) and/or the broadcast, transmission, performance, exploitation or use of the Application as authorized or licensed by these Official Rules. Any incorrect or inaccurate information, whether caused by the Microsoft’s electronic or printing error, or by any of the equipment or programming associated with or utilized in the Challenge. Technical failures of any kind, including, but not limited to malfunctions, interruptions, or disconnections in phone lines, internet connectivity or electronic transmission errors, or network hardware or software or failure of the Challenge Website. Unauthorized human intervention in any part of the entry process or the Challenge. Technical or human error which may occur in the administration of the Challenge or the processing of Applications. Any injury or damage to persons or property which may be caused, directly or indirectly, in whole or in part, from the Submitter’s participation in the Challenge or receipt or use or misuse of any Award. In addition, the terms and conditions for the Microsoft AI services, and any other Microsoft product, service, tool or website that you use in connection with the Application, will continue to apply in accordance with their terms and, without limiting Section 11.b above, the Released Parties will not have any liability for any failure of such products, services, tools or websites in connection with the Application or Challenge. The Released Parties are not responsible for incomplete, late, misdirected, damaged, lost, illegible, or incomprehensible Applications or for address or email address changes of the Submitters. Proof of sending or submitting will not be deemed to be proof of receipt by the Microsoft. If for any reason any Application is determined to have not been received or been erroneously deleted, lost, or otherwise destroyed or corrupted, the Submitter’s sole remedy is to request the opportunity to resubmit its Application. Such request must be made promptly after the Submitter knows or should have known there was a problem, and will be determined at the sole discretion of the Microsoft. The award of an Award to a potential winner is subject to verification of the identity, qualifications, and role of the potential winner in the creation of the Application. The final decision to designate a winner shall be made by Microsoft. The Application or the potential winner, or any member of a potential winner’s team, is disqualified for any other reason. In the event of a disqualification, the Microsoft may award the applicable Award to an alternate potential winner. A monetary Award will be mailed to the winning Submitter’s address. Awards will be payable to the Submitter, if an individual, and to the Submitter’s Representative, if a team. It will be the responsibility of the winning Submitter’s Representative to allocate the Award among their team as the Representative deems appropriate. The Award will be mailed within sixty (60) days of announcing the awardees. Winners (and in the case of team, all participating members) are responsible for reporting and paying all applicable taxes in their jurisdiction of residence (federal, state/provincial/territorial and local). Winners may be required to provide certain information to facilitate receipt of the award, including completing and submitting any tax or other forms necessary for compliance with applicable withholding and reporting requirements. United States residents are required to provide a completed form W-9 and residents of other countries are required to provide a completed W-8BEN form. Winners are also responsible for complying with foreign exchange and banking regulations in their respective jurisdictions and reporting the receipt of the Award to relevant government departments/agencies, if necessary. Microsoft reserves the right to withhold a portion of the Award amount to comply with the tax laws of the United States or other Microsoft jurisdiction, or those of a winner’s jurisdiction. By participating in the Challenge you consent to the use of personal information about you, if you are a winner, by Microsoft and third parties acting on their behalf. Such personal information includes, but is not limited to, your name, likeness, photograph, voice, opinions, comments and hometown and country of residence. It may be used in any existing or newly created media, worldwide without further payment or consideration or right of review, unless prohibited by law. Authorized use includes advertising and promotional purposes. The duration of your consent is for a period of three (3) years following the conclusion of the Challenge. This consent applies, as applicable, to all members a Submitter’s team or Organization that participated in the winning Application. Microsoft reserves the right, in their sole discretion, to cancel, suspend and/or modify the Challenge, or any part of it, in the event of a technical failure, fraud, or any other factor or event that was not anticipated or is not within their control. Microsoft reserves the right in their sole discretion to disqualify any individual or Submitter it finds to be actually or presenting the appearance of tampering with the entry process or the operation of the Challenge or to be acting in violation of these Official Rules or in a manner that is inappropriate, unsportsmanlike, not in the best interests of this Challenge, or a violation of any applicable law or regulation. Any attempt by any person to undermine the proper conduct of the Challenge may be a violation of criminal and civil law. Should Microsoft suspect that such an attempt has been made or is threatened, they reserve the right to take appropriate action including but not limited to requiring a Submitter to cooperate with an investigation and referral to criminal and civil law enforcement authorities. If there is any discrepancy or inconsistency between the terms and conditions of the Official Rules and disclosures or other statements contained in any Challenge materials, including but not limited to the Challenge Application form, Challenge Website, advertising (including but not limited to television, print, radio or online ads), the terms and conditions of the Official Rules shall prevail. The terms and conditions of the Official Rules are subject to change at any time. Microsoft will post the terms and conditions of the amended Official Rules on the Challenge Website. To the fullest extent permitted by law, any amendment will become effective at the time specified in the posting of the amended Official Rules or, if no time is specified, the time of posting. If at any time prior to the deadline, a Submitter or prospective Submitter believes that any Official Rule is or may be unclear or ambiguous, they must submit a written email requesting clarification to cairmsr@microsoft.com. Microsoft’s failure to enforce any term of these Official Rules shall not constitute a waiver of that provision. Should any provision of these Official Rules be or become illegal or unenforceable in any jurisdiction whose laws or regulations may apply to a Submitter, such illegality or unenforceability shall leave the remainder of these Official Rules, including the Rule affected, to the fullest extent permitted by law, unaffected and valid. The illegal or unenforceable provision shall be replaced by a valid and enforceable provision that comes closest and best reflects Microsoft’s intention in a legal and enforceable manner with respect to the invalid or unenforceable provision. Excluding Applications, all intellectual property related to this Challenge, including but not limited to copyrighted material, trademarks, trade-names, logos, designs, promotional materials, web pages, source codes, drawings, illustrations, slogans and representations are owned or used under license by Microsoft. All rights are reserved. Unauthorized copying or use of any copyrighted material or intellectual property without the express written consent of its owners is strictly prohibited. Any use in an Application of Microsoft intellectual property shall be solely to the extent provided for in these Official Rules. By entering, all Submitters (including, in the case of a team or Organization, all participating members) agree to be bound by the Official Rules and hereby release the Released Parties from any and all liability regarding the Awards or Submitter’s participation in the Challenge. Provided, however, that any liability limitation regarding gross negligence or intentional acts, or events of death or body injury shall not be applicable in jurisdictions where such limitation is not legal. Submitters agree that, to the fullest extent permitted by law: any and all disputes, claims and causes of action arising out of or connected with this Challenge, or any Awards awarded, other than those concerning the administration of the Challenge or the determination of winners, shall be resolved individually, without resort to any form of class action. If you have any questions or comments regarding this Challenge, please email us cairmsr@microsoft.com. Please refer to the complete set of rules for this program. Does my team have to be comprised of only academics or private/public organizations? Or can it be a mix? Teams can be a mix of individuals from academic and private/public organizations. Can teams of academics and private/public organizations apply? Yes. Teams can be comprised of individuals that are all academics, all private/public organizations, or a mix of both. How does an organization get access to Azure resources, if our organization doesn’t use Azure? Visit Microsoft AI to explore products and solutions and get access to free developer tools and resources. I am a student. Do I qualify for Azure resource credits? Faculty, research staff members, graduate students, and postdocs are qualified to apply for Azure resources. Undergraduate and Masters students require a faculty supervisor to submit a proposal if it is part of an ongoing research program. Deadline to apply for resources is February 15, 2018. This deadline has passed. In the submission template document, do I need to include biographies of all team members or just the team lead? Include information for all team members. The biography of the team lead is sufficient unless there are other researchers making significant contributions who you would like to highlight in the proposal. What sort of projects are you looking for? We are looking for projects that will advance the state of research by using Microsoft Cloud AI products. These projects may be individual scientific investigations or activities that support a research discipline. We are excited by original ideas. We are thrilled by projects that make cloud-based open source tools available to the community. We plan to complete the review process and notify winners within sixty (60) days of April 15, 2018. However, that date may change depending on the number of proposals we receive. What is Microsoft Cloud AI? Microsoft Cloud AI is a set of AI tools and services that help developers and researchers create applications that assist humanity and augment our capabilities. 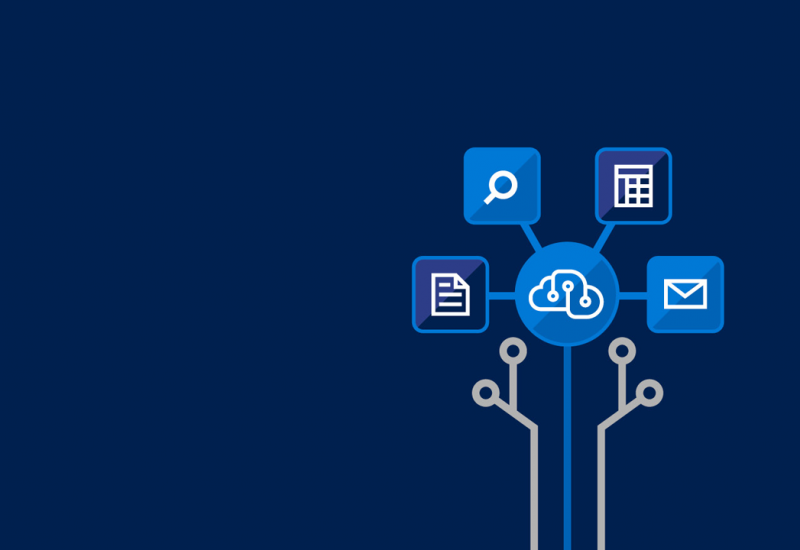 With the Azure platform and productivity services, you can create the next generation of applications that span an intelligent cloud as well as an intelligent edge powered by AI. AI Services is a collection of powerful APIs enables your apps to intelligently interpret the world and to naturally engage your users through vision, speech, language, and knowledge. Our free, easy-to-use, open-source, commercial-grade tools train deep-learning algorithms to learn like the human brain by helping you adopt programming languages and algorithms you already use to AI applications. Email cairmsr@microsoft.com with questions about the Cloud AI Research Challenge. Where can I seek clarification on technical issues with Cloud AI products? You can engage with the community on the Cloud AI Gitter chat or the MSDN Machine Learning Forum. If a team is a mix of individuals from academics and private/public, can a team member who is an academic apply for the Azure resources? Yes, as long as one team member is an academic, that academic can apply for the Azure resources. Are Azure resource credits available in all countries? The resources are available in all countries in which Azure is available. This list is continually growing. View a comprehensive country list and the full terms and conditions here. I would like to acknowledge the Azure resource contribution to my submission. How can I do this? A simple acknowledgment is always appreciated. You can use the following: “Cloud computing resources were provided by Microsoft Azure for Research. Your Microsoft account (previously called Windows Live ID) is the combination of an email address and a password that you use to sign in to services like Outlook.com, Skype, OneDrive, or Xbox LIVE. If you don’t have a Microsoft account, it is easy to create one—and it’s free. You can even create a Microsoft account that can be used by your entire research team to access your Azure resources. Yes. By submitting an app to the challenge, you retain any intellectual property rights. However, Microsoft will have the right to feature all apps entered in the competition for promotional purposes. Please note that in order to be eligible for detailed evaluation, it is advantageous if your application code is made available via one of the approved open source licenses listed at http://opensource.org/licenses. Microsoft will have the right to publicly display your submission on the challenge website. They will also be allowed to publicize your name on the challenge website in connection with the submission and the challenge during the competition and for 36 months after its conclusion. For more information on publicity rights, please see the complete set of rules.